I just loving hearing new talent in the music industry and one of them is Trel Mack. Mack has been featured on major websites such as - The Source, All Hip-Hop, Rap Reviews, Yo Raps!, now It's Just Mobolaji and so much more hip hop sites. 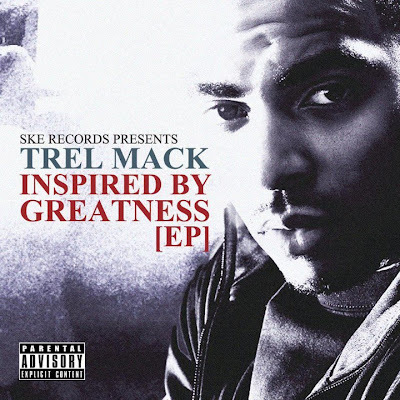 With a newly released EP out "Inspired By Greatness", Trel Mack features his hit singles 'Dreams of a Winner' which features singer Shaun Chrisjohn as well as his other single 'No Holding Back'. Trel Mack who is signed to the independent record label - SKE Records has received a lot of support online and has blown up to be an internet sensation and is clearly on his way to bigger and better things. As always I have my 3 favourite songs - 'No Holding Back', 'Where Do We Go' ft. MarVo and 'Trust No One'. The new EP 'Inspired By Greatness' can be purchased on www.trelmack.com - take a listen to the EP below.